n the ice, Olympic athlete Gracie Gold is a bronze medal-winning figure skater. Off the ice, she’s a sprinting, high-climbing SoulCycle faithful. The 2016 and 2014 U.S. National Champion and 2014 Olympic medalist took her first SOUL class in 2015 and has been riding ever since — stopping only for a brief break earlier this year when she relocated to Detroit to train for the 2018 Winter Olympics. Gold, 21, chatted with us about her SOUL obsession, favorite pre-class snacks and how her time on the bike improves her athletic performance. Read on for the full interview, and head to teamusa.org to learn more about Gracie. The XXIII Winter Olympics kick off in Pyeongchang, South Korea on February 9, 2018. 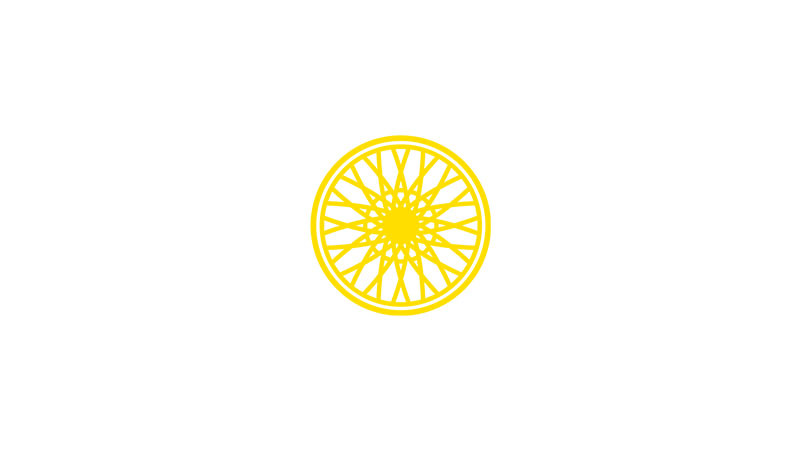 How did you first find SoulCycle? My first class was with CHRIS in Santa Monica in February or March of 2015. My best friend Scott had taken some classes and was super into them and was telling me that I had to try this class called SoulCycle where you basically ride to the beat of the music. He took me to his favorite instructor and I loved it from my very first class. The music was great and the whole class was riding as one. 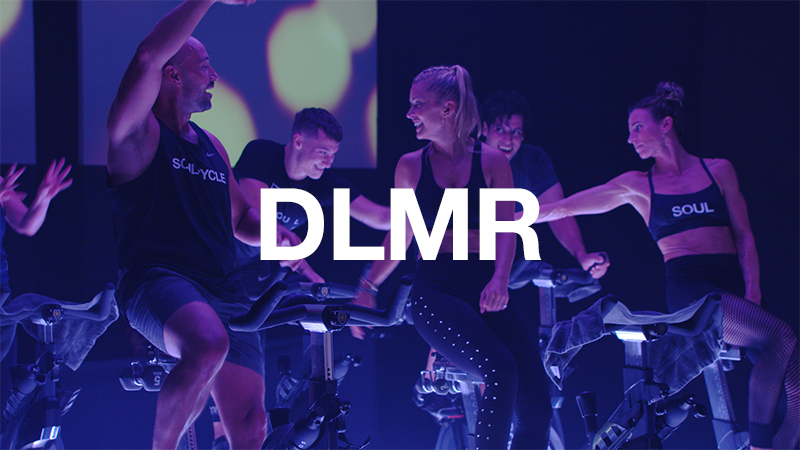 Had you tried indoor cycling classes before while training for competitions? I had been to a few cycling classes before at my local gym and they were OK. 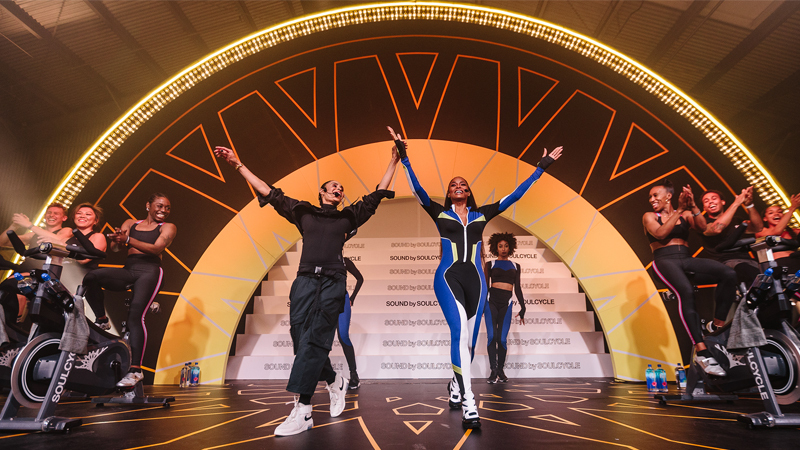 It was a simple intro, then the instructor would just tell you what to do — “Go up the hill, go, push, etc.” — But SoulCycle has a dance aspect to it, which I loved, and the fact that everyone is doing it together makes a big difference. There’s an accountability of riding as a pack which is cool, and I think it brings people together more. If the person next to you is going all out, you’re like, “OK, I can make it, too.” Then that trickles to the person next to you and the person behind you — it’s a whole thing. I’ve been vibing with SOUL since my first class, I’m obsessed. I recently moved from LA to Detroit. There’s a huge skating community out here and it’s where my coaches are located. We’re just getting back into training and I’ve been on tour with Stars on Ice. I’m starting to do more strength and conditioning training off the ice about three times a week, and I’m working on some sprinting intervals, biking, and any kind of cardio I can get. On the ice we’re doing a lot of speed and interval training, some of my new routines and getting back into jumping. I’m spending about the same amount of time on the ice, about three to four [days], but we increased the intensity. Is the goal to make the 2018 Winter Olympic team? One hundred percent! Competition season starts in August which is kind of the first thing I’m looking to be ready for so I’m training for that. International competitions run October through November then we have our Olympic trials and the US National Championship in January. Then we have the Olympics in February and it repeats. •S O U L C Y C L E• ???????????? Do you still ride at SOUL when you travel? SoulCycle is one of the things I miss the most since moving to Detroit in February and a SOUL postcard was the first thing my friend Scott sent me after I moved. Anytime I travel to a city with a studio, I ride. I was just in Chicago and I took a class. Anytime I’m in New York or back in California, it’s one of my top things to do — I just want to get in a SoulCycle class! What was your SOUL routine when you lived in LA? I always took EDWARD’s Sunday morning class. Scott and I always [took] this class together, it was our thing. We’d ride then get coffee together. I went every Saturday and Sunday morning. I preferred morning classes on the weekends. It’d be how I started each weekend [and] then if people wanted to hang out later in the afternoon, I’d be free. It was an amazing way to start my day and since I wasn’t skating, I’d feel really motivated and empowered. When the Manhattan Beach location opened, I could go during the week, too, because it was closer studio option for me. Maybe once or twice if I could make it. 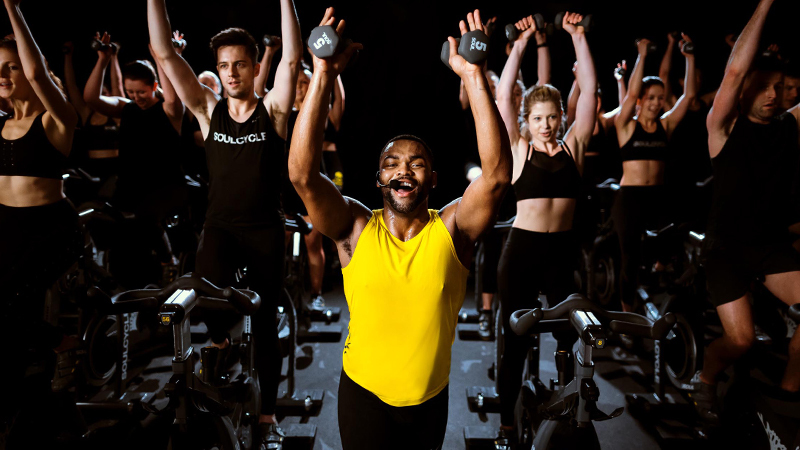 How has SoulCycle helped you become a better athlete? I love the speed and intensity of a SOUL class — it’s a great workout. For me, it was hard to stay motivated running on the treadmill at a set speed for 20, 30, or 45 minutes. This has been my favorite way to get added cardio because it’s interesting and stimulating. It was difficult, but I wanted to do well at it — I wanted to do extra turns and push myself. When you’re skating your program you don’t have someone over the loudspeaker keeping you motivated or saying that everything you put on the wheel is an opportunity for change. Those positive messages keep you going and we don’t have that while we’re skating a program. When I’m doing sprints there’s no Edward to encourage me. There was so much positivity in class and it felt like a judgment-free zone — and of course the workout was incredible. What songs get you in right zone for really finding a new best? Edward and PIXIE were my two favorite instructors, I loved their classes. “Cough Syrup” by Young the Giant is one of my favorites to bike to. It would play a lot during Edward’s class, and after class I went to look up everything about the song. Florence and the Machine, “Dog Days are Over” is a solid one, too. What would you eat before class to power up? Most of the time I’d have coffee and oatmeal before class. I love putting peanut butter and a little bit of honey in my oatmeal — it’s my favorite breakfast ever. I would have that on my way to class as it was a bit of a road trip from where I lived in Redondo Beach up to Hollywood or West Hollywood studio. After class, especially if I went [with] Scott, we would go to a juice place near the West Hollywood location. I’d usually get a smoothie, acai bowl or pressed juice. I was always super warm after class and I wanted a recovery snack but I wasn’t necessarily hungry. And is there a post-class skin or beauty trick you swear by? I would always bring a makeup wipe or cleansing face wipe in my bag to use to wipe off. I didn’t usually shower at the studio, but I’d always use toner or face wash after class. Do you have a SOUL Story to share? Email SOULlife@soul-cycle.com. Ready to ride? Click HERE to grab a series and book a bike.